PHILADELPHIA – AUGUST 22, 2017 – Dean Baquet, executive editor of The New York Times, will receive the Lew Klein Excellence in the Media Award this fall. The acclaimed journalist will be the 17th recipient of the honor at a ceremony hosted annually by Temple University’s Klein College of Media and Communication to honor distinguished alumni and media figures, and to raise funds for student scholarships. Baquet has spent nearly 40 years in journalism, winning a Pulitzer Prize for investigative reporting at the Chicago Tribune in 1988 and being named a finalist for the award again in 1994. He joined The New York Times staff in 1990, where he has also served as the Washington bureau chief and managing editor. He became the newspaper’s top editor in 2014, the first African-American to ascend to that role. Over the past year, Baquet and The Times have received much acclaim for the paper’s reporting on the Trump administration’s first year. Baquet joins past Excellence in the Media recipients including Tina Fey, Robin Roberts, Matt Lauer, Anderson Cooper, Whoopi Goldberg and Wolf Blitzer. In addition to receiving the award at the ceremony, Baquet will also hold a separate “Conversation with Students,” in which he will take questions from and offer advice to Temple University students. “We are so grateful that our students will have an exclusive opportunity to learn from such a talented newsroom leader,” Boardman said. Additionally, the Rising Star Award will be given this year to Julia Nietsch, KLN ‘07, senior director of communications at Bravo and Oxygen Media.  Named in honor of broadcasting pioneer Lew Klein, the event pays tribute to both his influential career and to his more than 60 years of teaching at the Klein College. This year’s event will be the first awards ceremony since the college was renamed in Klein’s honor last spring, and will also serve to kick off a weekend of 50th anniversary celebrations for the college. Proceeds from the event directly benefit the Lew Klein Scholarship Fund, which provides stipends to help defray tuition costs, encouraging students to pursue study abroad and internship opportunities.